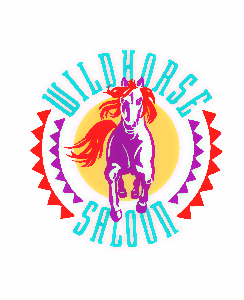 On May 31, 1998, the Wildhorse Saloon opened in Walt Disney World’s Pleasure Island area of Downtown Disney. It was very similar to the original Wildhorse Saloon that opened in Nashville, Tennessee in 1994; the Disney club was a 27,000-square-foot club that featured live entertainment by rising country stars, as well as dancers teaching guests how to line dance. It closed in the summer of 2001, and was replaced with a nightclub called Motion. 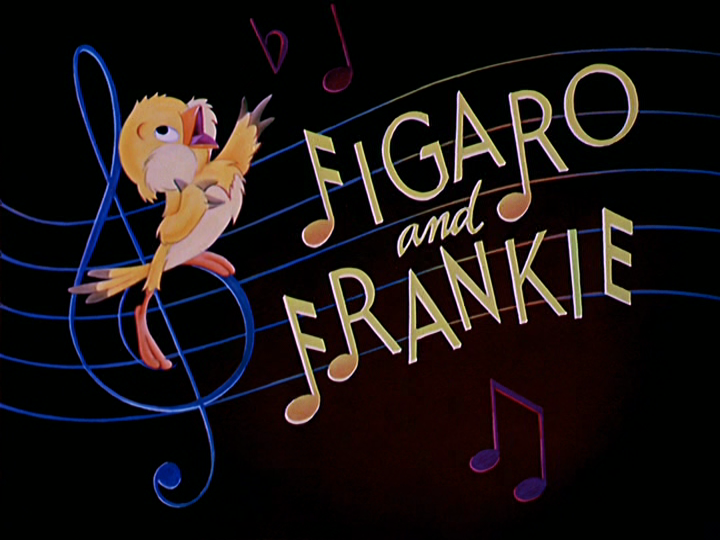 On May 30, 1947, the Figaro short film Figaro and Frankie was released to theaters. It was the last of the short series of Figaro cartoons, with the first being 1943’s Figaro and Cleo and 1946’s Bath Day. It was directed by Charles Nichols, with story by Eric Gurney and Bill de la Torre. Frankie the canary is singing in his cage, waking poor Figaro, who is desperately trying to nap. He attacks Frankie’s cage and stops him for a brief moment, but he fights back with birdseed. When Figaro tries to get back at him, Minnie finds the kitten climbing up to the cage and rebukes him. Figaro walks away, but then decides to go after Frankie again and manages to knock over the cage. When Minnie runs in again, she thinks that Figaro has eaten Frankie, and chases him with the broom out of the house. After Minnie rushes Figaro out, it’s revealed that Frankie is indeed alive, and stares out the window, wishing he could fly now that he is free. Unfortunately, Frankie is unable to fly, and nearly falls into Figaro’s mouth, until Figaro is chased away by Butch the bulldog. Butch nearly eats Frankie, and is stuck between being eaten by Figaro and by Butch. Figaro’s conscience tries to convince Figaro to save Frankie, but to not avail, until he hits the cat with his halo. Figaro pushes a potted plant onto Butch’s head, driving the bulldog away. The two manage to make up, and Frankie goes back to annoying Figaro with his singing. Posted in Uncategorized and tagged 1940s, Color, Figaro, Minnie Mouse, Short film. Bookmark the permalink. 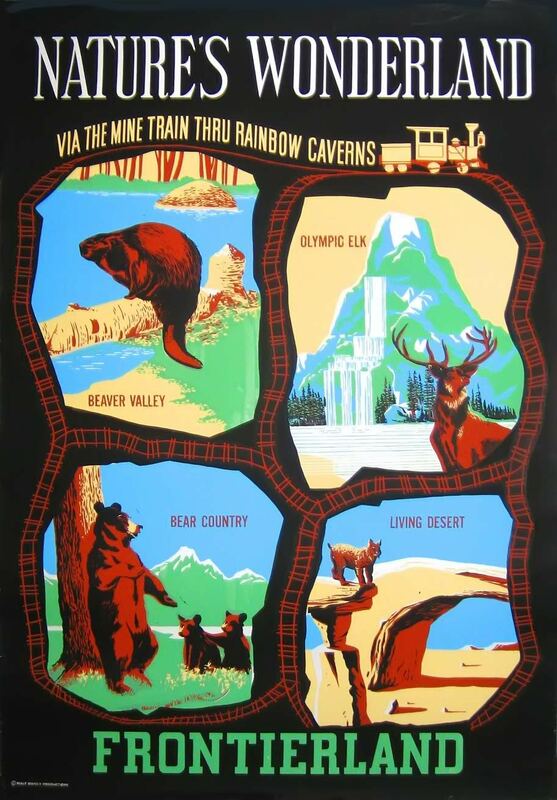 On May 28, 1960, the Frontierland attraction Mine Train Through Nature’s Wonderland opened; it was formerly the Rainbow Caverns Mine Train, which closed in 1959. The attraction took guests through the unexplored wilderness of the West, incorporating the Painted Desert and the Rainbow Caverns of the previous attraction. Over 200 audio-animatronic animals were used in the attraction, as well as tumbling rocks and various plant formations. Walt designed the attraction himself, as he was not pleased with what his designers came up with. The attraction was closed on January 2, 1977, to make room for the Big Thunder Mountain Railroad; the latter has many pieces within the attraction that pay homage to its predecessor. On May 27, 1992, the Sequoia Lodge opened in Disneyland Paris. Designed by Antoine Grumbach, it was designed to capture the feel of a rustic wilderness retreat while surrounding Lake Disney. The lodge has several types of rooms, including a standard room, a Montana room, and a Golden Forest Club room. 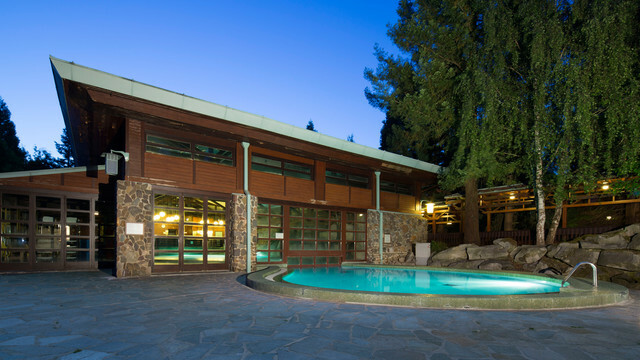 The hotel also includes two places for guests to dine: the Hunter’s Grill and Beaver Creek Tavern, which serves an all-you-can-eat buffet of hearty American fare; and the Redwood Bar and Lounge, where guests can grab a cocktail in front of a roaring fire. The lodge also features a sauna and fitness center, as well as in-hotel shopping at the Boutique: Northwest Passage. Posted in Uncategorized and tagged 1990s, Disney Park, Disneyland Paris, Hotel, International. Bookmark the permalink. 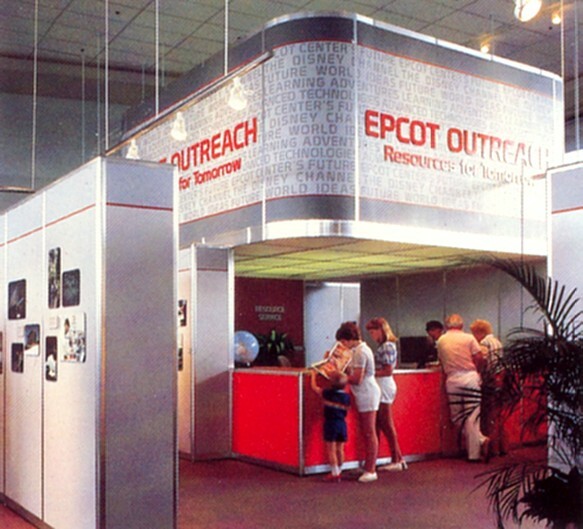 On May 26, 1983, the Epcot Outreach information area opened in the CommuniCore West area of Walt Disney World’s Epcot park. This, along with the Teacher’s Center, gave guests information about all the subjects already presented in Future World and the World Showcase, with information about Epcot itself being the most popular topic queried. The area closed down on July 1, 1994, when Innoventions opened; it then moved to the new Epcot Discovery Center. Posted in Uncategorized and tagged 1980s, Attraction, Disney Park, Epcot, Walt Disney World. Bookmark the permalink. On May 25, 1983, the Fantasyland attraction Snow White’s Scary Adventures reopened in Disneyland. 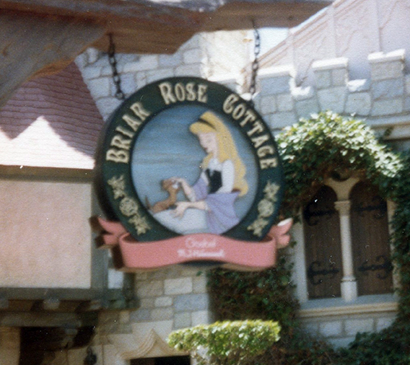 The attraction was a remodeled version of the original 1955 attraction Snow White’s Adventures, and was part of the new Fantasyland expansion and remodeling project in the 1980s. 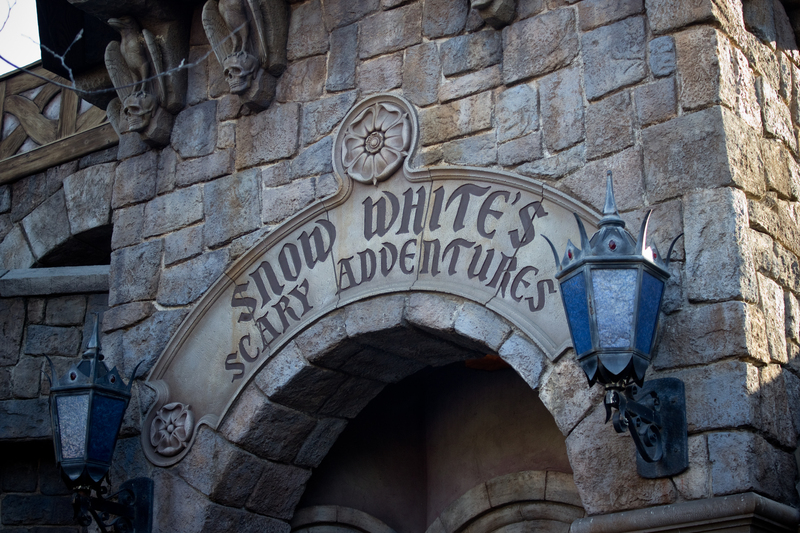 Based on the hit animated feature film, the dark-ride attraction takes guests on Snow White’s journey, with a focus on the perils she faced, including the depths of the forest and the Queen’s chambers. With the original attraction, guests played the part of Snow White on the journey; this remodel now featured Snow White in the attraction herself.